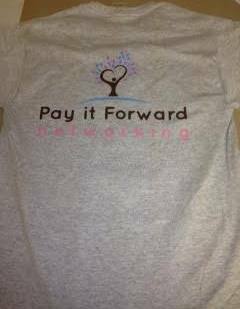 Pay It Forward Networking is a non-profit organization that's committed to helping sick and disabled children's dreams come true through the power of networking! As you know, operating a successful non-profit organization takes a lot of time, effort and amazing people. Although most all wishes are granted by members of our network, occasionaly, we as an organization step in and help fill in the gaps where there are shortcomings for things such as event tickets, airfare or hotel accomodations. Additionaly, like all non-profits, there are operating costs associated with the operation in order to maintain credibility and effectiveness. Anything you can do to help would be much appreciated! Thank you for your consideration, and with your help, we look forward to putting smiles on the faces of these precious angels, one wish at a time!